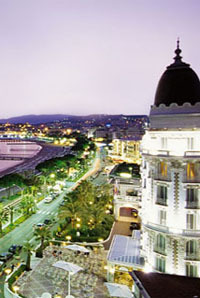 Enjoy your summer French Teenager language vacation in one of the best-known cities of the French Riviera - CANNES. Just 10 km from Antibes, this is a busy upscale tourist destination, host of the annual Cannes Film Festival and famous for its various luxury shops, restaurants and hotels. La Croisette is the waterfront avenue with palm trees. 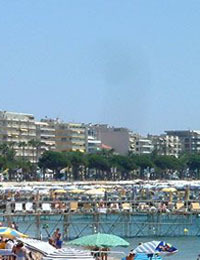 La Croisette is known for picturesque beaches and for restaurants, cafés and boutiques. 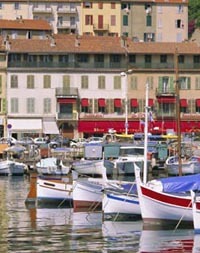 La Suquet, the old town, provides a good view of La Croisette. The fortified tower and Chapel of St Anne house the Musée de la Castre. The Man in the Iron Mask was imprisoned on the Île Sainte-Marguerite. 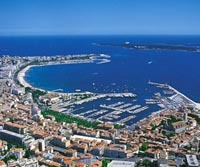 The "Croisette" stands along private fine sandy beaches, but teenagers generally prefer the public beaches located east of Cannes where they can enjoy lots of cafés, snacks and reasonably priced restaurants, and meet up with other young people and holidaying families. 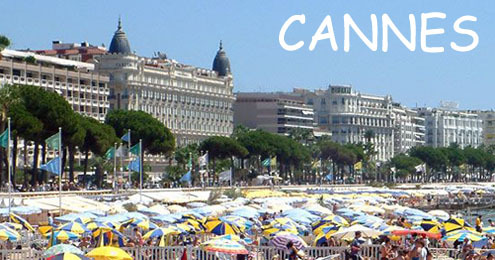 Cannes summers are long and warm, with summer daytime temperatures regularly hitting 30°C, while average temperatures are about 25°C. Temperatures remain high from June to September, the busiest time of the year. Despite the hot daytime temperatures, a Mediterranean breeze keeps summer evenings comfortably cool. 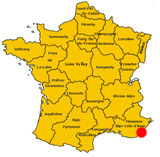 Distances: 45 minutes from St-Tropez, 40 minutes from Nice & 1 hour from Monaco. Teens arrive independently into Cannes not in a group (via Nice airport). They will be met at the airport and taken to their accommodation which is included on the Sunday, language courses start on Monday and finish Friday, departure day is Saturday. Teens will be studying and living with like - minded teens of a similar age from around the world, under the supervision of our staff, with rules & curfews. Teens attending this program come from all over the world, typical nationality mix: European 70%, North American 10%, Other 20% - Program holds about 100 students. 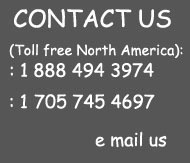 Our summer school is situated in an affluent downtown neighbourhood, just over a mile from local beaches and all the activities they have to offer. All outings are under our staff’s strict control and on condition that you have parental permission. Ages 13-15 are not allowed out at all after 7:30pm. Detailed written permission will be required from parents or legal guardians for 16 & 17 year olds. Daily until 10pm and Friday and Saturday night until 1:00 in the morning. During evenings when children accommodated in the campus are not allowed to go out by themselves, accompanied excursions and thematic events are proposed by our teams on campus. Enjoy a schedule of supervised social & cultural activities during the week. Every day : games, contests, cabarets, casinos, olympic games, shows, thematic activities for students on the campus. One barbecue evening per week for all students. Free shuttle service from our campuses to the beach and the town. Select another FRENCH SUMMER immersion location..
We will give you unbiased help in choosing the right type of summer teen language vacation to match your needs and requirements. Good public beaches, free concerts and lots to explore! My host family was great and I walked to school each day and loved hanging on the beach after class."